For patients who spend long stretches of time in bed, an appropriate pressure relieving mattress may be necessary in order to prevent the development of pressure sores. The Harvest Reflect 2 Pressure Relief Foam Mattress is designed to do just that, suitable for patients at high risk of developing pressure ulcers. This mattress is available in three widths: 900mm, 1200mm and 1370mm. Select your desired width from the drop-down menu above. 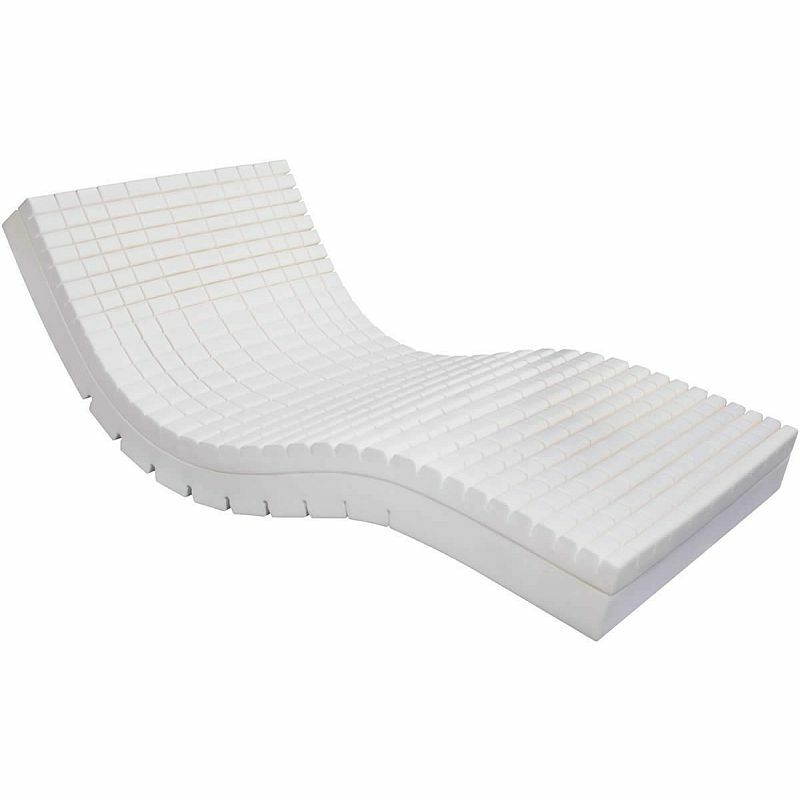 The pressure relief this mattress can provide comes from the use of a deep layer of Harvest's advanced castellated Viscofoam, resting on a separate foam base. The two layers of foam work together to evenly distribute the patient's weight, providing complex and effective support. Since the top layer is castellated, this mattress is suitable for use with fully profiling beds. Most foam pressure relief mattresses require monthly turning, providing a time-consuming and frustrating hassle for care teams. With the Reflect 2 mattress, on the other hand, turning is not required, thus reducing the work load on the carer and freeing up time for other tasks. The Harvest Reflect 2 Pressure Relief Foam Mattress is very comfortable, and by supporting key pressure points, reduces vertical interface pressure and horizontal shear forces. The profiled surfaces increase under-body ventilation and enhance the airflow around the mattress. This airflow prevents the patient from overheating, reducing moisture and providing an excellent pressure relief experience. This is supplied complete with a fully fitted Silvosan-treated two-way stretch vapour-permeable cover. This cover allows the product to breathe while protecting the mattress from spillages and fluids.